If you see the error “Either your computer is offline or the clock on your computer is set incorrectly, causing a connection error. An Internet connection is required. Please connect to the Internet or adjust your clock and try again.” – follow steps below to fix it. Make sure you have the most up to date version of Pack Manager installed. Make sure you’re entering the right purchase code. Need help finding your purchase code? If Pack Manager is not installing or not working, try the following. Solution 1. Right click on the installer – Run as administrator. Solution 2. Try an alternative installer or install manually (download from Google Drive or Dropbox). If you’re still having trouble installing the plugin, please contact us. How do I uninstall the Pack Manager? “C:\Program Files\Adobe\Adobe After Effects CC 2019\Support Files\Plug-ins” on Windows or “Applications/Adobe After Effects CC 2019/Plug-ins/” on Mac. 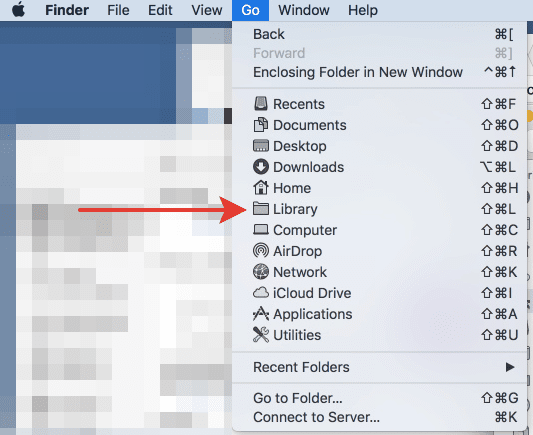 These steps should completely remove AEJuice Pack Manager from your computer. We’re sorry you’re uninstalling the plug-in. Please let us know how we can make your experience better. Right click on the installer – Run as administrator. Windows 10 security system would mark any file as a corrupt file if not enough people used it. When we release the new update, Windows marks it as a new file, and first couple hundred people who download the file might see this error. We are officially certified by Windows, and each of our installers has a secure signature. You must see the “Publisher: AEJuice LLC.“ This line verifies that file has not been changed after we had released it. 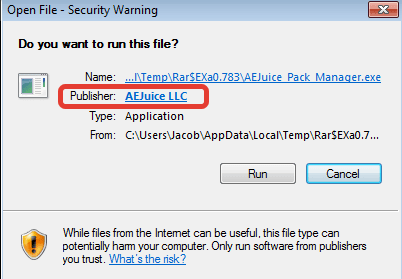 If you do not see the “Publisher: AEJuice LLC” – do not run the file and send it to our support team. Copyright © 2014-2019 AEJuice LLC. All rights reserved.